Repair and recover inaccessible or corrupt Oracle databases created in Oracle 9i, 10g or 11g. Repairs corrupt Oracle database DBF file and recover all database objects. Preview the recoverable database objects before actual recovery. 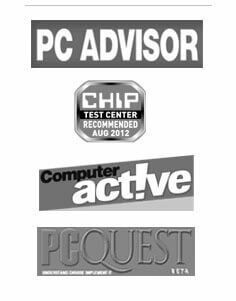 Support all major Windows operating systems including Windows 10, 8.1, 8, 7, Vista, XP, 2008, 2003 and 2000. Oracle is one of the most preferred databases being used by organizations of all levels. However, there can be times when the database is damaged putting everything on halt. When the database is damaged, due to any reason, all data stored in it becomes inaccessible thereby, Oracle database recovery needs to be done. It is a process of repairing the corrupt Oracle database and recovering the data inside it. During the recovery process, Oracle Database recovery software scans the corrupt database and lists all its components, which are then repaired. 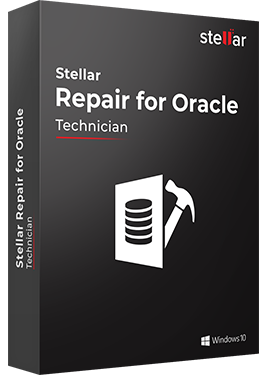 After the repairing process is done, you can save the recovered data into a new Oracle database, which is ready to be mount and use. The software performs a complete and a flawless recovery of all objects from the corrupt Oracle database. Using its self-descriptive and easy-to-use graphical user interface, even a newbie can easily carry out the recovery process. The software can effectively recover tables, tablespaces, triggers, stored procedures, clusters, nested object types, user-defined functions, packages, queries of database links, and a lot more. The software is designed to let you preview the items to be recovered. It may happen that you want to recover only a few important items than all. Hence, the software gives you the preview feature, which allows you to select the objects to be recovered, preview them, and then recover them. Once you have selected the corrupt database file, the Oracle database recovery software scans it. After the scanning is done, it creates a hierarchy in the same structure, as it was in the database before corruption. From that hierarchy, you can select the components that you want in the repaired database instead of all objects. Our Oracle Database Recovery software is developed to comply with the latest technology. Hence, if the corrupt database contains XML data then our Oracle Database Recovery software will recover that data too. The software can flawlessly recover the tables and views that contain XMLType data. The software can recover XML Schemas as well. Oracle Database Recovery is versatile software; therefore, it is capable to recover databases created using Oracle 9i, 10g, 11g. However, before you start the recovery process, you should create a blank database. This blank database can be selected during the recovery process to save all the recovered data inside it. The software makes searching the database repair faster and better. You can use its search feature to find all databases stored in your computer. Once you have a list of the databases, you can select the corrupt one and continue with the recovery process.